According to the calendar and seemingly everywhere else, it is Spring. But Spring seems to have lost her directions to Toronto. We had snow flakes…SNOW FLAKES today. And blustery winds blasting my face outside. And now as I type this, strong winds are howling and my toes are cold inside my own house. Hey if you see Spring, will you steer her onto the right path to Canada? Specifically, midtown Toronto would be swell. Thanks a lot! 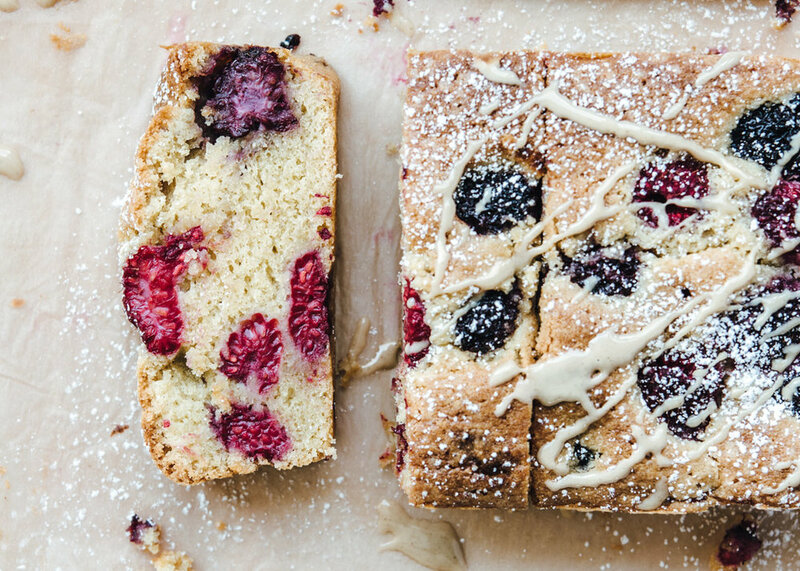 On the brighter side of things, I am SO happy to be sharing this tahini cake with berries with you! I am a little bit obsessed with tahini. And I know I’m not alone in this. Its creamy, rich and nutty (yes nutty even though it is made from sesame seeds) characteristics work so well in both savoury and sweet applications. In this cake, it adds a depth of flavour and richness that is unlike any other and just so wonderful. So this cake. It is gluten-free but nobody ever knows this if I don’t tell them. I’ve baked enough gluten-free cakes to confidently say that despite its bad rap, gluten-free cakes need not to be dry or dense or sandy in texture. They can be moist, light and often times in my opinion, more flavourful than wheat flour cakes depending on the ingredients used. 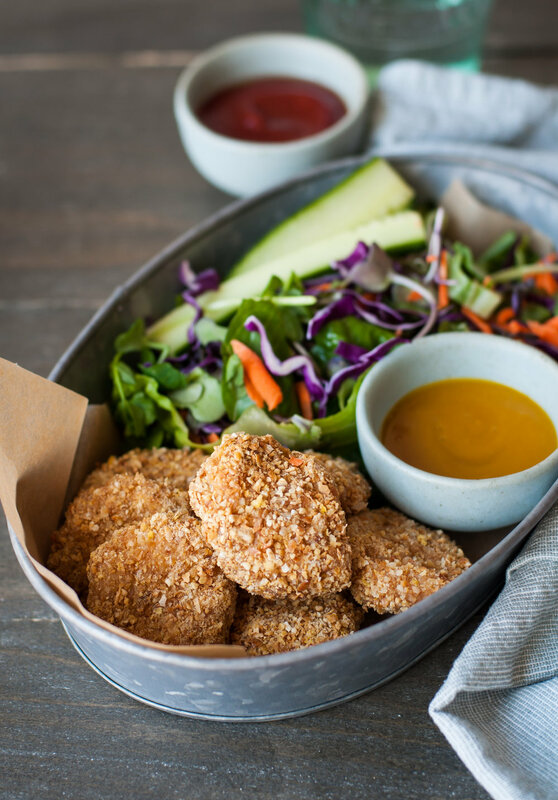 In this case, it is made with a mix of almond flour (see - flavour boost right there) and gluten-free flour blend which is literally just as easy as using all-purpose flour. I buy Bob’s Red Mill 1 to 1 Gluten-Free Baking Flour (not sponsored) and love it because it always yields consistent results and is super accessible in most well-stocked grocery stores and online. Egg yolks provide richness and egg whites (whipped) provide airiness to lighten the denser nature of gluten-free flours. I mean, check out the crumb on this cake. Totally legit, am I right? Oh, and feel free to use any berries you want that’s in season. I used blackberries and raspberries because those are nicest at the moment. Strawberries would be super good in the summer too. Ahh can’t wait for summer. I hope Summer has a better sense of direction than Spring! Make in Advance: The cake can be made a day ahead (kept well-wrapped at room temperature) and reheated in a 325f oven for 10-15 minutes. It tastes just like fresh-baked. Recipe makes one 8.5” x 4.5” loaf or one 8” round cake. Preheat oven to 325f. Lightly grease and/or line with parchment paper, a 8.5” x 4.5” loaf pan or 8” round cake pan. Whisk the flours, baking powder, cardamom and salt together and set aside. Separate the eggs, placing the whites in the bowl of a stand mixer and the yolks in a separate small bowl. Whisk the whites on high (8 on stand mixer) until soft peaks form, about 3 minutes. Scoop them out and set aside. Replace the whisk attachment with the paddle attachment. Place the softened butter, sugar and tahini into the stand mixer bowl and cream them on medium speed (3 or 4) until light and fluffy, about 3-5 minutes. Add the yolks and beat one minute more. Pour the dry flour mixture into the bowl and beat until just barely combined. Gently fold in the egg whites, stopping just short of a few visible white streaks. Next gently fold in berries (you can leave a small handful to arrange more decoratively on top of the cake just before baking, if you want). Scoop batter into your greased / lined baking pan. If you reserved some of the berries for decorating, arrange them now on top. Bake 50-60 minutes, or until a skewer pierced into the middle emerges with just a few crumbs. Cool and serve with a drizzle of tahini and dusting of powdered sugar if you like.